Mexico, Late Preclassic to Protoclassic circa 300 B.C. - A.D. 300. Height: 5 in. (12.7 cm.). 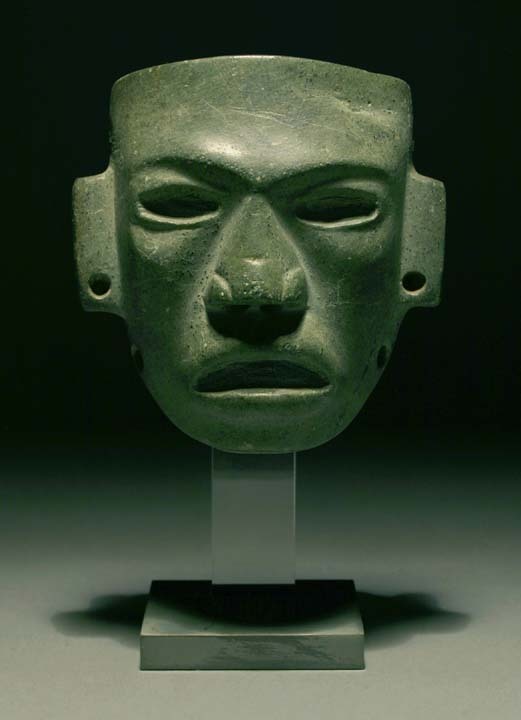 A finely carved Guerrero stone face panel influenced by the early Teotihuacan culture.